False ceiling is provided below the roof slab on suspended supports. 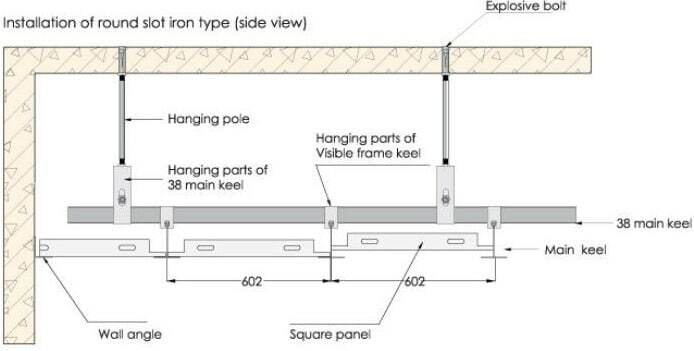 The false celling is usually provided for temperature control (heat insulation for AC), to install lights, or to conceal electrical and other networking cables and ugly or too high ceiling. 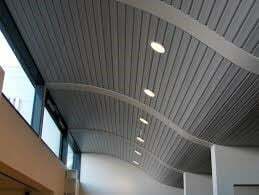 False ceilings can be differentiated into many types based on their uses, material used and appearance and visibility. Gypsum false ceiling is a hydrated sulfate of calcium. This type of false ceiling are lightweight, sound insulated, fire resistance, soft and thermally insulated. 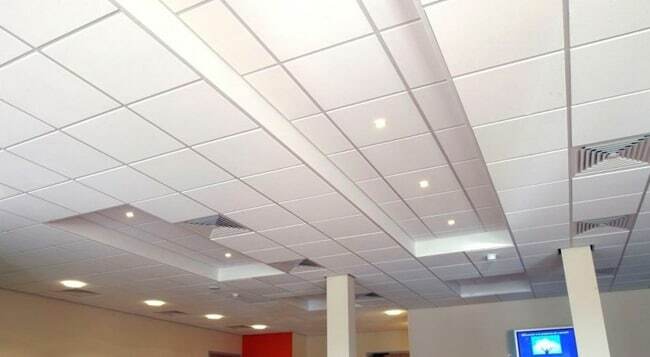 Gypsum false ceiling comes in the shape of square boards that are hung with the help of iron framework. The finishing work on these boards like paints, laminates, wallpapers and texture finish gives good look. Plaster of Paris (POP) is the majorly used material in the construction of false ceiling. POP is obtained when gypsum is heated to a certain degree. It gives the both aesthetical and functional help. 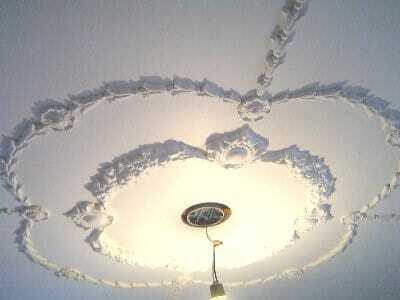 Plaster of Paris false ceiling are attractive, almost no maintenance and has a long life span. They are very excellent insulators or heat and cold. These types of false ceiling don’t only hide the ugly members of structure, ventilation ducts and conduits but also give smooth finish to the ceiling. Fiber false ceiling are in high demand for the construction of false ceiling due to low cost and east installation. The material used to manufacture fiber ceiling panels are man made by synthetic and natural minerals. As these are man-made they come in many shapes and sizes. Wooden false ceiling is used due to its natural textures and pattern. 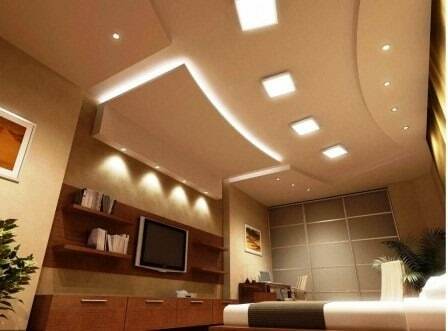 Nowadays this types of false ceiling are used commonly as it gives a pleasant look to the eyes. Wooden false ceiling being costly, is not used in malls and hospitals but can be installed in residential buildings. They can be given various finishes, or painted to get the right look. The room should be thermally controlled. One of the type of false ceiling used in construction are of glass. It is a non-crystalline material with the property of brittle and transparent. But this can be altered to make it non brittle and non-transparent using some admixtures. As glass is a good insulator of heat, it can be used for false ceiling. 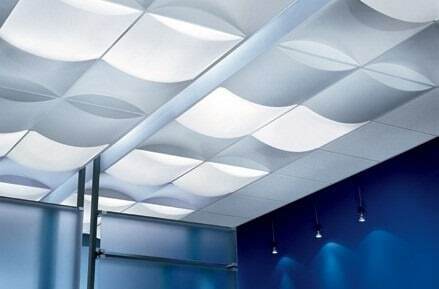 This type of false ceiling improves aesthetical appearance of the building. As metal is a hard and durable material, it is used extensively in the false ceiling. When the metal surface is polished it gives a shiny surface which is a treat for eyes. The metals used in this are galvanized iron and aluminum. The cost of this ceiling are low as they are easy to install and access. The hidden members of the structure are easily accessed as the panels are easily removable and reattached. The construction cost becomes less as the installation, fixing and maintained is low. 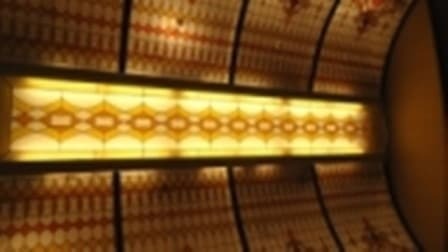 The materials used in this type of ceilings are either leather or cloth. As both the used materials are man-made they can be given any form, shape and design which improves the aesthetic view of interior of the building. As these collects dust and has low light transferring property it’s only used in temporary tents or other temporary buildings. It also hides the pipelines and the electrical cables running in the room. All the ducts of air-conditioning can be hidden under it. The most worrying aspect of having a false ceiling would be pests. They can get through into the space between and can start their own breeding which might lead to a lot of trouble. Also be careful while putting up decorations or hangings while you have a false ceiling in place. Make sure you know the strength and durability, do’s and don’ts with regard to your ceiling. Lastly, the false ceiling would reduce the height of the ceiling considerably and hence do not install false ceiling unless you have a decent ceiling height.